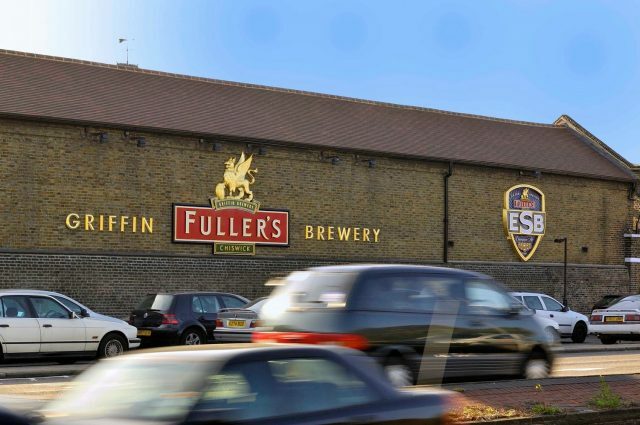 Brewer and pub operator Fuller’s has announced the acquisition of all six Bel & The Dragon pubs, meaning that it has acquired both 10 new sites and a craft brewery this year. As part of its full year results for the year ending 31 March 2018, published last week, Fuller’s stated that it had purchased all six of Bel & The Dragon’s pubs, located across the south of England. It described the pubs as being “the perfect fit with Fuller’s premium pub portfolio”. Bel & The Dragon has sites in Churt in Surrey; Cookham, Reading and Windsor in Berkshire and Kingsclere and Odiham in Hampshire. This year, Fuller’s also invested in four sites in London owned by bar operator We Are Bar Group, including Jamies in Creechurch Lane EC3, Jamies in Fleet Place EC4, Jamies in London Bridge Street, SE1 and The Saint in Paternoster Square EC4. In February, it announced that it had bought a 100% stake in Sussex-based brewery Dark Star. The Fuller’s portfolio now includes 179 tenanted pubs and 209 managed pubs and hotels as well as cider and pizza chain, The Stable. In addition to brewing its own beers, Fuller’s also owns cider maker Cornish orchards, wholesale drinks business Nectar Imports and George Gale & Co, which it bought in 2005 having subsequently moved brewing operations to its London site. In the 52 weeks ending 31 March 2018, Fuller’s reported good performance among its managed pubs and hotels (sales up by 2.9%) and tenanted inns (like for like profits up by 3%). However, it reported that total beer and cider volumes were “flat” (down 1%) overall, and falling by 3% in the first nine weeks of this year. It blamed the results on a “challenging market place”. In addition, revenue was up 5% to £403.6 million, EBITDA rose by 2% to £70.9 million and adjusted profit increased by 3% to £43.2 million. Commenting on the results, chief executive Simon Emeny said: “The year has seen another good performance with a solid set of results, particularly from Fuller’s Inns. It has been a year of building for the future – with a number of internal projects coming to fruition. In February we were delighted to acquire Dark Star Brewing, a craft cask brewer in Sussex, and since the year end we have purchased an additional 10 excellent sites. “Our Managed Pubs and Hotels have again delivered like for like sales that are above the industry average and our Tenanted Inns are making real progress with a 3% increase in profits. Although we have seen a marginal drop in total beer and cider volumes, it has been a year of progress for the Fuller’s Beer Company, which has a clear strategy to return to growth and exciting, achievable plans in place. “The four sites we have acquired from We Are Bar Group are good, well-located additions to our City business and the six Bel & The Dragon sites are a perfect fit with our existing quality estate. They offer delicious, fresh food, an interesting and premium drinks portfolio and 57 bedrooms – all areas where we have expertise. “While we are still in a time of national and global uncertainty – and we do not underestimate the related wider market and economic issues that we will have to navigate over the months ahead – we believe we are in a strong position. “We have an excellent team of motivated people both at management level and throughout the business, we have pubs that are well-invested and in strong, iconic locations, and we have a bold and proud portfolio of beer and cider brands. These assets are backed by a robust financial position and that puts us in a good place to continue to deliver for our shareholders, our customers and our employees”.